“Hi guys, sorry that we’re a little bit behind schedule. We’re going to start the casting right now.” Those were the words of Head Booker of Basic Models Management, Bonita Ma, as the casting call got underway. It was a Saturday afternoon, and the second half of a two-part casting call held at the National Library building was about to commence. At this point, aspiring models had filled up half of the event space, eagerly awaiting for their chance to impress while seated on the provided chairs. 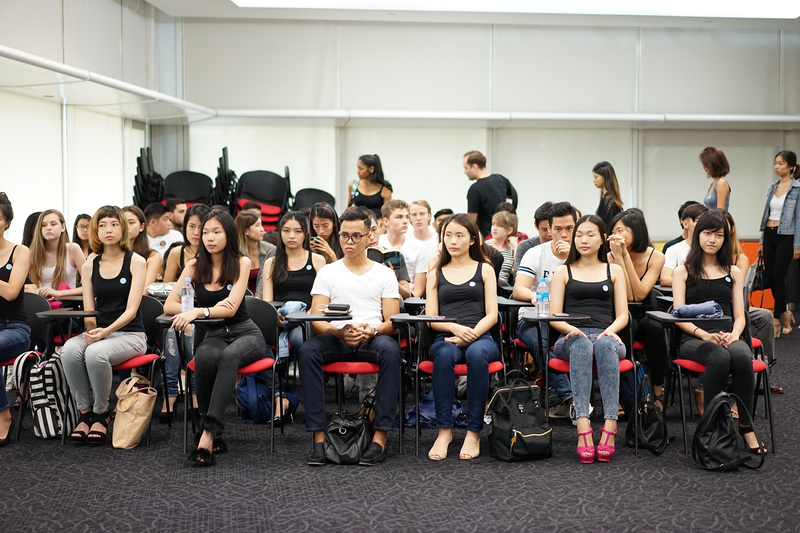 Basic Models Management is one of the few model agencies in Singapore who organises regular casting calls to recruit models into their ranks. In case you missed it, we met up with them previously, and got a lot of insights into what they do, and why they do it. To summarise, they are out to unearth the gem that is the next Singaporean supermodel – no mean feat by any means. Typically, they hold casting calls twice a year, one at the start of the year in January, another in the middle, around June. So What’s Their Casting Call Actually Like? Overweight and five centimetres shy of the minimum height requirement for guys, I am by no means model material and was thus definitely not taking a registration form and waiting in line for my turn. Still, after an afternoon observing the mechanics of a casting call, as well as being in the midst of model hopefuls sounded like an intriguing proposition. The day started at 10AM. As helpers swung open the glass doors to the event venue, a line was already present along the walls outside. This was not some free ice cream giveaway. Many arrived way earlier than the time when registrations were slated to open – a promising sign for the casting call. Model hopefuls then start streaming into the venue to get the registration forms to fill in, while those who had already filled up their forms were led to the main registration table where they will be filtered at the door. Here, a crew member will scan through the forms to ensure each registrant meets the casting call’s basic eligibility. 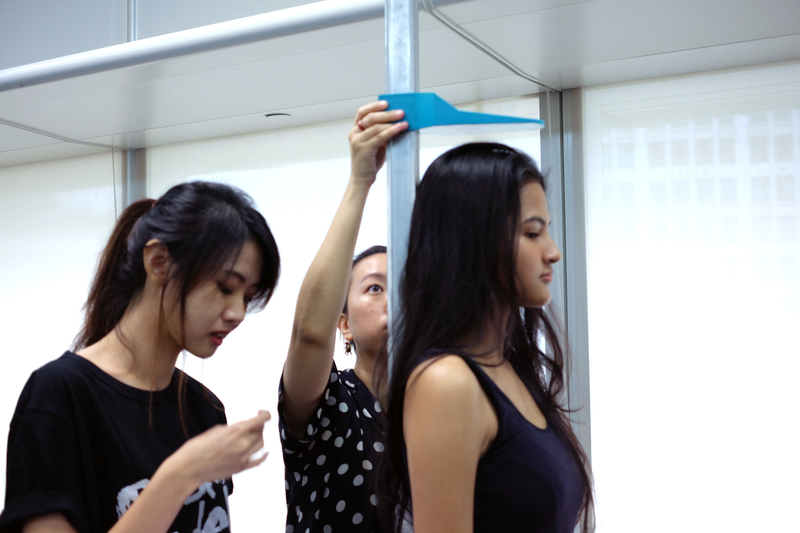 Most importantly, applicants must at least meet the minimum height requirement – 168cm for ladies and 180cm for men. Those who fail to do so will be turned away at the door with no exceptions made. 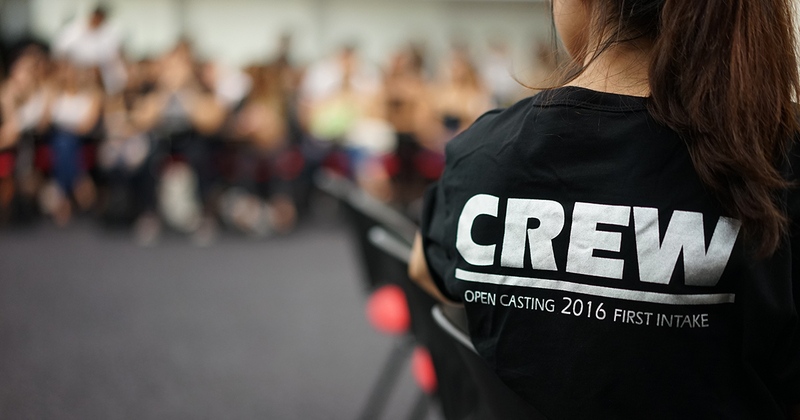 Applicants who have successfully made it past the screening were then allowed to be seated in the main casting area. Friends and families of registrants were allowed to oversee the entire course of the casting at the back of the venue. This was especially important as there were many young applicants who came for the casting and their parents and guardians usually tag along to accompany them. Next comes the part where each person’s statistics are recorded, and each individual’s height, chest (bust for ladies), waist and hips were measured. A model’s comp card usually has these bits of information in them, along with their name and shoes sizes – important information that designers and stylists require when preparing looks and clothes for the catwalk or photo shoots. After everyone has been measured and recorded, there was an intermission before the main event, and applicants were told to empty the casting area and come back in the afternoon. For the applicants, this was a time for them to collect their thoughts or to grab a quick bite before strutting their stuff. For Bonita and the crew, it was a time of rest before the more grueling task of personally grading each of the applicants. Slightly past 12 noon, the glass doors were unlocked again, and applicants steadily streamed into the casting area. This time, they were arranged in numerical order, each of them having a numbered sticker on their shirts. The atmosphere was intense, with everything that was happening being in plain sight of both the staff and applicants. This part of the casting is broken into two stages – first, an audience with Bonita herself, where each individual can show off their portfolio, and the other, a simple photoshoot with one of the crew. At the first stage, they are required to do a catwalk to and from the table. This was to see whether someone is comfortable walking in heels (for ladies), and if that person have the flair to walk like a model. Here, pace of the walk, hand positioning, and the pose and turns will factor in as to how good a person is on the catwalk. During the course of assessing each individual, Bonita will scrutinize their registration forms and ask questions regarding the information they have written down; all this to find out about each individual as much as possible in that few minutes of interaction that she has with them. This was essential, especially since a large number of them are active students who may have extra curricular activities in school, or classes until late in the day. Being a model will require them to commit a substantial amount of time to attend the various training sessions that will be held. The photo shoot component of the casting, while looking deceptively simple, was actually as important as the first stage. Posing is the bread and butter of any model, and knowing how to pose, and the differences between fashion and catalogue poses will be to the advantage of any aspiring model. Not knowing how to pose should not be used as an excuse, ever. Basic has even emphasized the importance of studying, and practicing, poses in their preparatory guide to casting calls here. With both components, Bonita will look for the tell-tale signs to see if someone has the potential, and desire, to become a model. There is a fine line between exuding confidence and arrogance, and both is something that Bonita, as well as the crew, can tell right away for each person that comes up to the table. A good attitude, at the end of the day, is still key. The entire process for each applicant is over in about 10 minutes. After going through both stages, they are allowed to leave immediately and wait for the results of their casting through email. By around 2:30pm, the halls were empty again, and the people left were just Bonita, the crew, and myself. Oh, did I mention that a significant part of the crew is made up of active models in Basic? Now you know. The team then got together for a quick debrief, and to also review the list of potential candidates, before breaking off to grab a late lunch together. Well, to those of you who were turned down, don’t despair. Last I heard, the next casting call will be in January 2017. Bookmark and leave your details at this page to find out when it will next be held. Take whatever advice that Bonita has given you and do something positive with it. You have half a year to improve yourself, so better get on with it. If you have any questions in the mean time, you can reach Bonita at her ask.FM page as always.